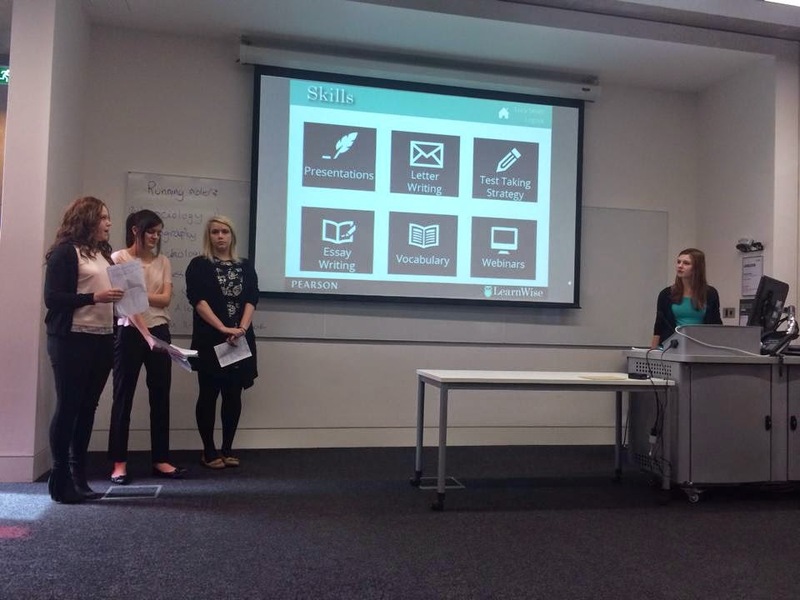 Yesterday, my group and I presented our Digital Strategy project to Liz Marchant from Pearson Education. We pitched a new digital product for Pearson Education called "LearnWise" which was a very ambitious app for GCSE English students in the UK. Our presentation/product tied for second place in the competition which was judged by Ms. Marchant and we couldn't be happier to see our hard work pay off! It was a welcome relief to see all of our hard work pay off and be recognized. We spent nearly the entire semester planning for that presentation and we rocked it! I was very lucky to get to work with such a great group of ladies who tolerated me even when my life fell apart on Tuesday due to a communication error. Here's my life lesson I learned on Tuesday: Always communicate. Holy crap. 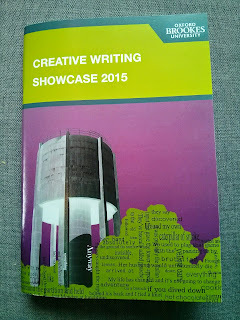 Earlier this semester I signed up to put together a small anthology booklet for the creative writing MA students at Oxford Brookes University for their big showcase (which is tonight--I'm not going because I am tired and in love with my couch right now.) 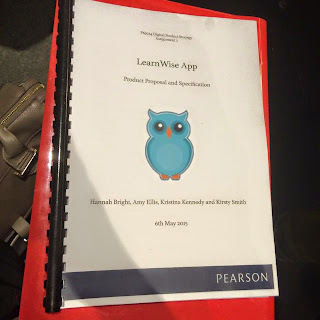 I had spent a few weeks working on it including having to work with all the students to get their work which was a chore in itself and had submitted the final files to the person heading up the event two weeks ago and never heard anything until Tuesday, two days before the event, inquiring about the status of the book. Yep, you guessed it. The book never got sent to the printer. He had assumed I was going to submit the files and I had assumed he was going to submit the files. Therefore, neither one of us submitted the files. So we managed to team up and make the booklets happen in time by some miracle. He was out of town 150 miles away and I was preparing for the above mentioned presentation (which was worth 65% of my grade!!) Luckily, the printer was super accommodating. I sent the files and they actually delivered the print proof to me at the university since I was stuck in presentations all morning and couldn't pick it up. Basically, it was a huge team effort that almost gave me a heart attack but the book looks great and I can only hope the creative writing students are happy with it. All in all, the creative writing showcase anthology has taught me A LOT. I learned about dealing with authors and how to build in time contingencies when waiting to receive work. I also learned how to chase down rogue authors who decide not to send me their work. Then I learned to communicate because OMG MISTAKES! Then I learned how to deal with a printer and handle a printing crisis while maintaining a professional demeanor even though I was actually imploding. However, as great of a learning experience this actually is, I am so glad this week is coming to a close.